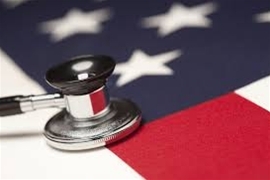 As the last day to buy health insurance and avoid paying a fine approached at the end of March, it was still unclear to what degree Obamacare had achieved its goal of extending insurance coverage to the millions of uninsured people in the US. More than 7.1 million people had bought health insurance under the Patient Protection and Affordable Care Act (ACA), and the Gallup-Healthways Well-Being Index, based on 43,500 interviews, revealed that the uninsured rate dipped to 15.6% in the first quarter of 2014, the lowest level recorded since late 2008. Critics, however, point to a number of problems, such as the botched website, cancellation of some policies that did not include all of ACA's essential health benefits, and the fact that some who were counted as insured under ACA were not uninsured to begin with. A McKinsey & Company report that came out a few days after open enrollment ended, based on surveys conducted in February, claimed that the most common reason for non-enrollment cited by both previously insured and previously uninsured respondents continued to be perceived affordability challenges. Yet over 80% of those individuals were eligible for subsidies, and 66% were unaware of their subsidy eligibility status or subsidy amount. A speaker at the marcus evans 10th National Healthcare CXO Summit, David S. Guzick, President at UF Health says that the roll-out of Obamacare has become a political issue. "The insurance exchanges are working to a variable degree," he said. "We have learned that the availability and degree of access to these insurance products in the private markets subsidized by the federal government depends in part on the political framework in the state and how devoted it has been to maximizing utilization. Whether Medicaid expansion was legislatively approved by the state is a big factor, as this seems to correlate with the efforts made to provide access to the exchanges and convey information about them to those in the 133%-400% of the Federal Poverty Line, which defines eligibility." While many surveys and polls have been published, Guzick awaits clarification about the 7.1 million figure: how is it distributed between Medicaid expansion and exchange enrollees, the distribution across states and communities, and whether it includes those under age 26 who now fall under their parents' insurance plan. The latter provision was already causing a reduction in the percentage of uninsured people, he added. Pick-up of the exchange plans has been successful in some parts of the country, especially where providers were competing for business, thus driving down the price of premiums and deductibles. Enrollment in Kentucky has been so high that some hospitals may have to hire extra staff to accommodate the volume, whereas in Florida, UF Health is facing the opposite problem of being unsure how it will continue providing the services it does, as it continues to provide free care to 8-15% of its patients who are uninsured, in the absence of Medicaid expansion and in the face of limited exchange enrollment, while federal differential share payments are being reduced to pay for Obamacare in other regions of the country where the law's provisions have been more actively implemented.